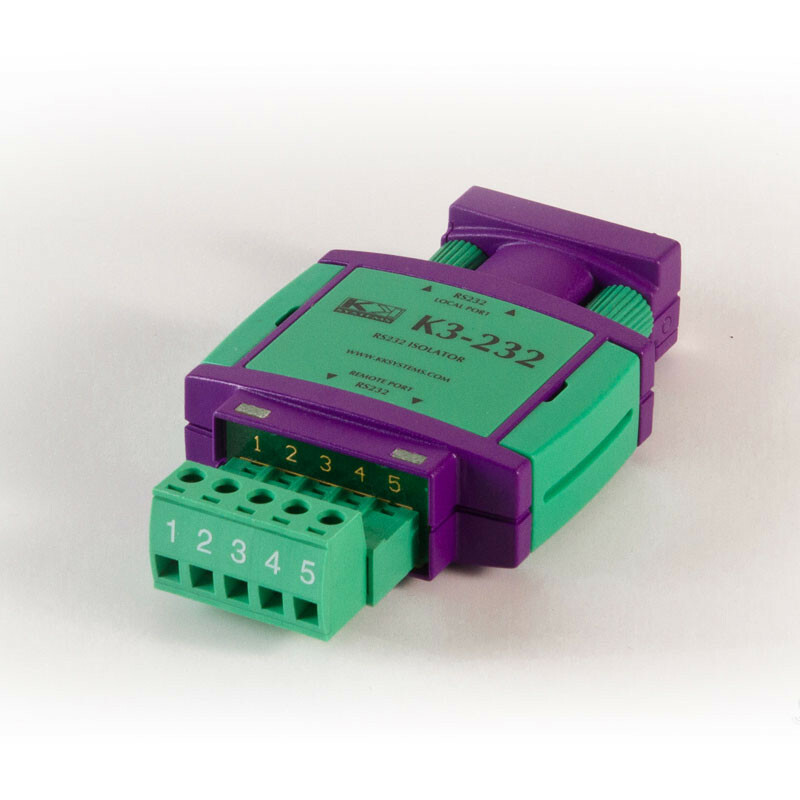 The K3-232-TB is an isolated RS232 to RS232 isolator. It is intended for full-duplex point to point communication. The K3-232-TB has a DB9 connector for the local RS232 port and a removable terminal block for the remote RS232 port.